Could there be a better setting for a white country kitchen than in the beautiful countryside on the fringes of Ballarat? 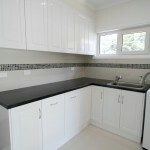 Our client’s were owner builders for their new home. 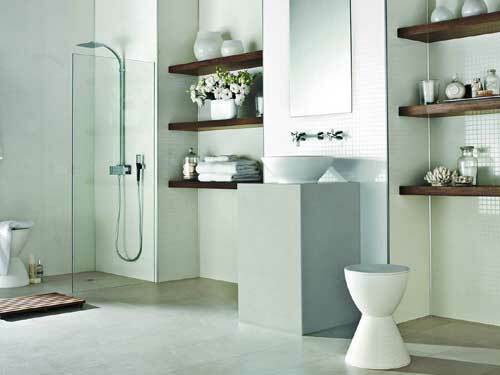 We worked with them to design their dream kitchen, pantry, bathrooms and laundry. 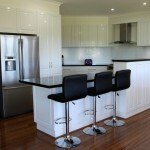 This kitchen has great storage with the inclusion of lots of Blum Tandembox drawers to the cabinets. 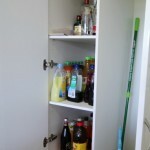 The dishwasher is cleverly hidden with the use of a fully integrated door. You will notice the Rangehood has been built into the cabinetry so the bulkhead can run through above and hide the ducting. 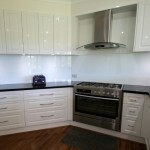 Glass splashbacks have been used to give clean lines and no grout to clean. How to hide the mess at the sink. We used a raised bench to give screening for the utility area around the sink. A cavity was created on the inside to give additional storage. This was all created from the ROXX bench material to give a seamless look. 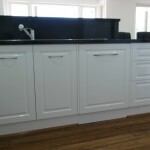 The kitchen doors, drawers and panels are Formica warm white gloss vinyl in the Heritage style. 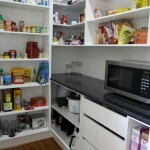 This kitchen has customised cabinets in the walk-in butler’s pantry. The addition of cabinetry like this not only gives great storage but easy access to food and appliances. Appliances can be left on the bench plugged in and ready to use. 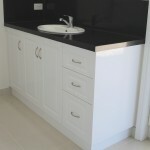 We incorporated a set of drawers with pull open fronts to give more versatile storage. 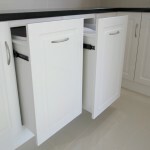 A clean crisp laundry with great storage. This white country laundry has lots of wall cabinets for additional storage and x2 laundry hampers below the bench. 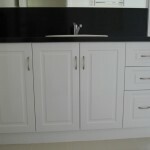 The kitchen, laundry and vanity doors, drawers and panels are Formica warm white gloss vinyl in the Heritage style. 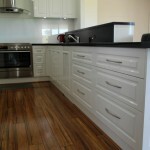 Here at our Ballarat Joinery we can achieve amazing custom joinery. 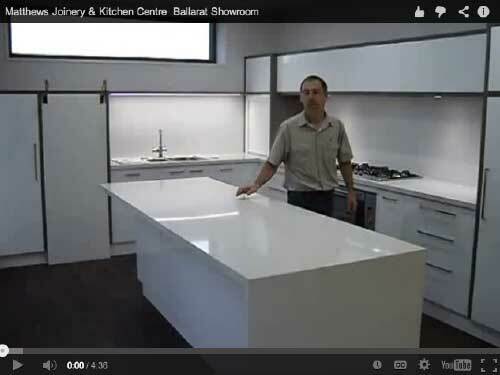 We have a showroom to showcase some of our ideas and skills, but as a custom joinery our skilled team will work with you to bring your project to life the way you picture it. 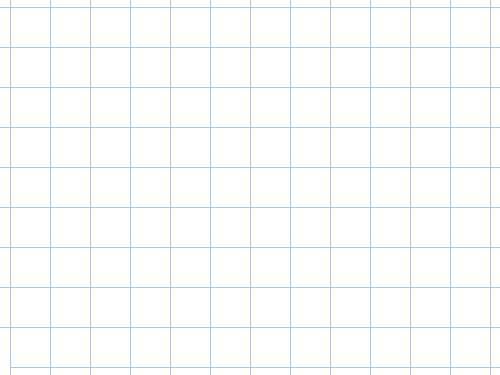 Why not call in or make a time to discuss your project with us.